Raw Mango Chunda is a hot sweet and sour tasting mango pickel. 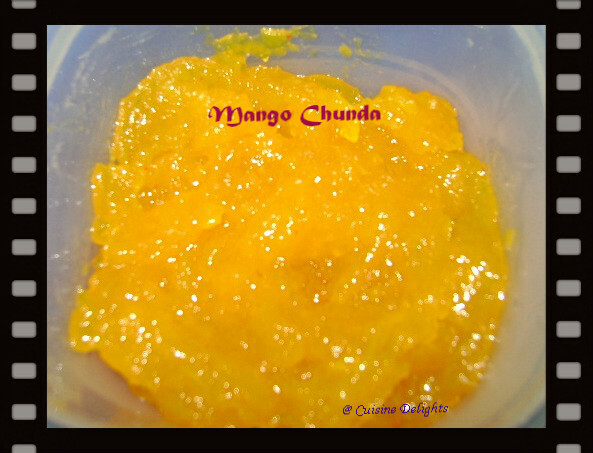 Inspired from Tarla Dalal's recipe I am sharing this quick mango chunda recipe. 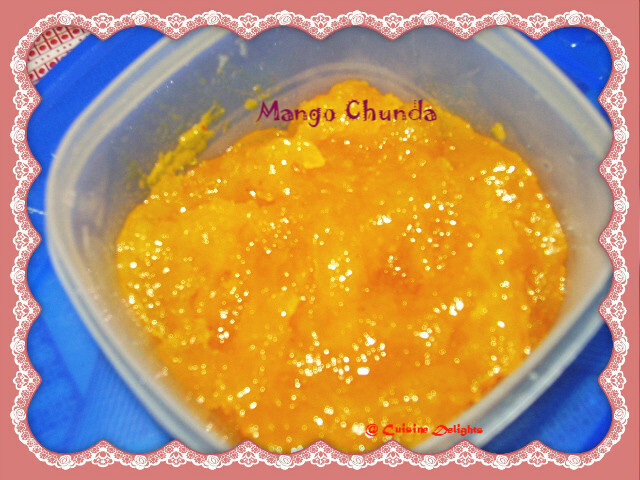 The instant chunda is very easy to make with just few ingredients that you would already have in your kitchen. Mix raw mango with sugar, salt, turmeric, chilli and roasted cumin powder and that's it we have a chunda/pickle ready. This pickle is a very popular recipe and can also be used with pancake, parathas, pulao and sandwich or a dip with chips. 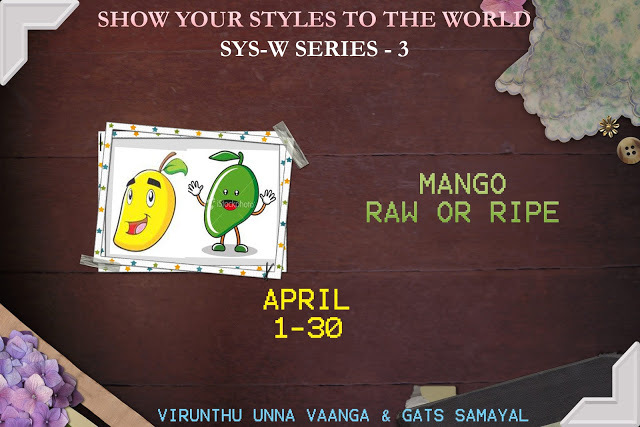 In a microwave bowl add grated mango pulp. Then add sugar, turmeric powder, salt, mix well, keep aside for 5 mins. Microwave this mixture on High Power 3 minutes. Open and stir well. Check the sugar is well dissolves or not. Then mix the chilli powder and roasted cumin seeds powder, mix well. Put this mixture in microwave for 2 mins. Once cooled, mixture will be little sticky, then add red chilli powder, roasted cumin seeds powder give it a quick mix. Rest it for 5 mins. Store in a sterilised glass jar. 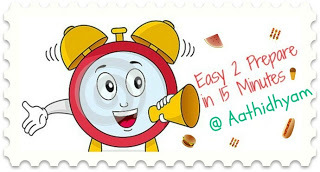 Store upto one year in refrigerator. Enjoy with roti, paratha and any indian bread..